Dr Grace Halden is a lecturer in Modern and Contemporary Literature at Birkbeck College, University of London. 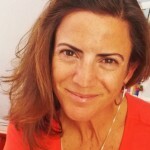 She has particular interest and expertise in the representations of technology in popular culture. Grace is currently working on a book on nuclear power in American popular culture, which ties into her fascination with technological influence and human response in the 20th and 21st Century. John Roache is Lecturer in Twentieth-century Literature at the University of Manchester. His work focuses on the crossovers between archival research and critical theory, with a special focus on the contemporary legacies of modernist and postmodernist aesthetics. Heis currently working on a monograph concerning the question of textual, social, and political marginality in the work ofauthors such as William Blake, Djuna Barnes, and David Foster Wallace. 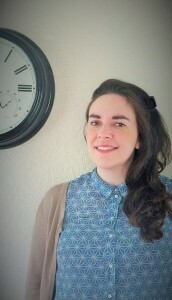 Dr Sarah Olive is Lecturer in English in Education at the University of York, where she is Programme Leader for the B.A. English in Education. 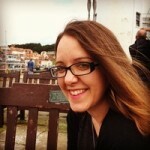 Sarah is also Visiting Lecturer at the Shakespeare Institute, leading a module on the MA Shakespeare and Education. Sarah is editor of the journal Teaching Shakespeare, a new publication of the British Shakespeare Association, of which she is a trustee. Sarah is currently working as part of the AHRC-funded “Shakespeare’s global communities” research network, which examines the role Shakespeare plays in contemporary global theatrical and literary culture, and which takes the 2012 World Shakespeare Festival (WSF) as a core case study. Sarah’s immediate research interests lie in Shakespeare (and his contemporaries) in English education and popular culture and she is an active member of the Centre for Renaissance and Early Modern Studies at York. Dr Jacquelyn Arnold completed her doctoral research at London Metropolitan University in 2014. Her PhD, British Civil Defence Policy in Response to the Threat of Nuclear Attack 1972 – 1986, analysed the genesis and development of civil defence during the last two decades of the Cold War by examining the ways in which policies were shaped by economic, ideological and political factors. Her current research interests include the social and cultural aspects of civil defence and nuclear war, British atomic culture, post-war public information film-making, and the historiography and hauntology of 1970s Britain. 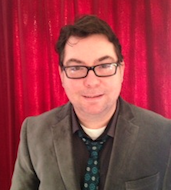 Dr Michael J. Collins is Lecturer in American Literature at The University of Kent. He has published essays on Melville and the British theatre, Poe and Freemasonry, and Washington Irving and the performance cultures of American Federalism. Michael is currently completing his first monograph as well as starting a new Leverhulme-funded research project, “Reluctant Cosmopolitans: Solidarity and Realism in the Gilded Age,” which explores the intersections between ideas of cultural difference and class solidarity in Franz Boas, Stephen Crane, WD Howells and Henry Adams. As a Fulbright Commission Awardee, Michael participated in the NYU American Studies Summer Institute in 2010. He is also a book reviewer for Year’s Work in English Studies and serves on the Executive Committee of The British Association for American Studies. Sarah Chihaya is a PhD Candidate in the Department of Comparative Literature at the University of California, Berkeley, where she is currently completing her dissertation, “Dark Arts: Narrative Diabolism in the Contemporary Novel.” She specializes in the novel and film in the twentieth and twenty-first centuries in English, French, and German, and convenes UC Berkeley’s postcolonial Anglophone working group, Anglophonia. Sarah has a review forthcoming in Modern Fiction Studies in 2013. 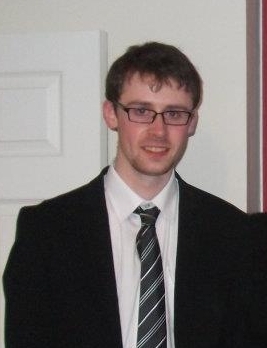 Dr Daniel O’Gorman is an Associate Lecturer in English at Oxford Brookes University, London South Bank University, and Royal Holloway, University of London. He has recently published an article on Dave Eggers and Judith Butler in Textual Practice, and has a piece on Iraq war fiction forthcoming in Critique: Studies in Contemporary Fiction. Daniel’s book Fictions of the War on Terror: Difference and the Transnational 9/11 Novel will be published by Palgrave Macmillan in July 2015. It aims to challenge the way we think about what constitutes ‘9/11 fiction’, analysing a number of novels that work to subvert the reductive ‘us and them’ identity binaries that have been prevalent in global political and media discourse during the war on terror. Dr Deborah Lilley completed her AHRC-funded PhD at Royal Holloway, University of London in 2014. Her research examines contemporary literature and theory and focuses in particular upon conceptions and representations of the environment. She has published articles in Green Letters: Studies in Ecocriticism and Symplokē and has new work forthcoming on contemporary British fiction and the pastoral, fictions of environmental crisis, nature and pastoral in the novels of Jim Crace, and new nature writing. She has recently relocated to San Francisco from London and is working on a monograph based on her doctoral research entitled The New Pastoral in Contemporary British Writing. Dr Christopher Daley works at Brunel University London where he holds two roles. He works, primarily, in the library as a Research Publications Officer where he is responsible for the day-to-day maintenance of the university’s Current Research Information System. As part of this role he is also involved in the promotion of open access publishing and regularly provides training to Brunel academics on HEFCE’s open access policy, digital scholarship and methods for research dissemination. In addition to his work with the library, Christopher is also a researcher and lecturer in English Literature, specialising in the interaction between popular culture and the politics of the Cold War. 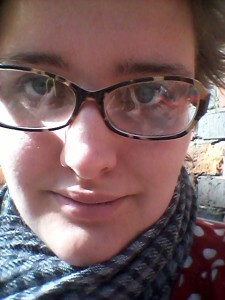 Dr Zara Dinnen is Lecturer in Modern and Contemporary Literature at the University of Birmingham. Her research examines representations of the digital in contemporary American culture. She has articles and reviews published or forthcoming in the Journal of Narrative Theory, ImageText, the Journal of American Studies, Textual Practice and the Comics Forum. Zara is Co-Organiser of the Contemporary Fiction Seminar at the Institute of English Studies and Reviews Editor for the AHRC-funded journal Dandelion. Dr Lewis Ward has taught modern and contemporary literature at the University of Exeter, the University of Plymouth and the University of the West of England. His PhD (Exeter 2009) was on Holocaust representation, trauma, memory and empathy, focusing on works by W. G. Sebald, Jonathan Safran Foer, Anne Michaels and ‘Binjamin Wilkomirski’. 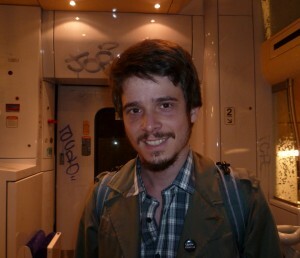 His article on Sebald will appear in Journal of Modern Literature in December 2012, and his essays on Aleksandar Hemon and Philip Roth are under consideration elsewhere. He is working on a book provisionally titled Voices of Empathy in Contemporary Narratives of War, Genocide and Exile, which will investigate intersections between ethics and narrative voice in recent transnational fiction. 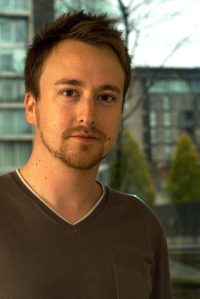 Lewis has also worked as a BBC web producer and freelance editor. 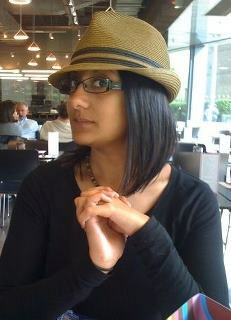 Dr Churnjeet Mahn is Lecturer in English at the University of Surrey. Churnjeet is currently completing a book project entitled Travels in the Palimpsest: British Women’s Travel to Greece 1840-1914 (Ashgate 2012), which leads into a new project on politicised critiques of Hellenism as a commonsense standard for culture in the period 1890-1950. She is interested in women’s writing from Romanticism to Modernism, has a special interest in Queer literature and culture from the Victorian period to the present day, and has published work on ethnography by British women travelling to sites of antiquity in the nineteenth century in Victorian Studies, Women Writing Greece: A Collection of Critical Essays ed. Vassiliki Kolocotroni and Efterpi Mitsi (Rodopi, 2008), Re-visioning Scotland: New Readings of the Cultural Canon, ed. Lyndsay Lunan, Kirsty A. Macdonald and Carla Sassi (Peter Lang, 2008), and the Journal of Intercultural Studies. Dr Mark P. Williams is currently a Teaching Fellow at Johannes Gutenberg-Universität Mainz, Germany, where he has worked since 2014. 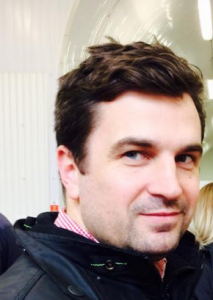 He previously taught at the University of East Anglia (UK) and Victoria University of Wellington (Aotearoa New Zealand), and has also been a political reporter for Scoop Independent Media in the NZ Parliamentary Press Gallery. Mark received his PhD from the University of East Anglia for his thesis “Radical Fantasy: A Study of Left Radical Politics in the Fantasy Writing of Michael Moorcock, Angela Carter, Alan Moore, Grant Morrison and China Miéville.” He publishes on contemporary fiction, Science Fiction and Fantasy, and comic books, including contributions to the anthologies China Miéville: Critical Essays, The Joker: A Serious Study of the Clown Prince of Crime, and London in Contemporary British Fiction. Most recently, he co-edited a Foundation special on Michael Moorcock and the New Wave with Dr Jacob Huntley (UEA). 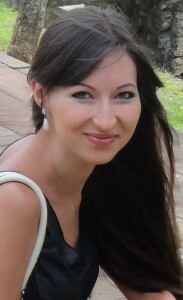 Dr Bianca Leggett is Lecturer in British Sudies at Harxlaxton College, University of Evansville. She was the co-convener of the symposium Twenty-First Century British Fiction and co-editor of a forthcoming essay collection of the same name. She is a course-designer and teacher on a new module at Birkbeck, Reading 21st Century Fiction . She has published on the subject of metanarrative in the fiction of Julian Barnes, self-fashioning and cosmopolitanism in Black British travel narratives, the role of “Brits Abroad” in the All Hail the New Puritans and ideas of transcendence in the work of Geoff Dyer. She is working on a monograph based on her doctoral research entitled Englishness Elsewhere: English Identity in the Contemporary Travel Novel. 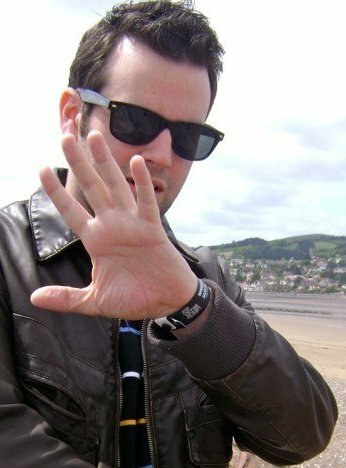 Dr Adam Stock is Research Associate in the School of English Literature, Language and Linguistics at Newcastle University. His research interests include utopian/dystopian fiction and thought, science fiction, modernism and visual and material culture. His recent publications include essays on Orwell in the collections Orwell Today (Ed. Richard Lance Keeble, 2012) and Dystopia(n) Matters (Ed. Fátima Vieira, 2013) and forthcoming articles on dystopian fiction and on John Wyndham. He is also developing a monograph project tentatively entitled Dark Futures Past: The Development of the Dystopian Genre 1895-1960. He is part of the performance-publication duo the Department of Things to Come, a founder of the Utopography critical/creative research group, and an Early Career Researcher advocate for the Open Library of Humanities. 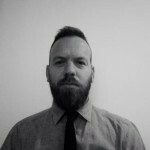 Dr Alexander Beaumont is Lecturer in English Literature at York St. John University with research interests in post-war British culture, Thatcherism and the British Left, and contemporary representations of the city. His essay “‘New Times Television? Channel 4 and My Beautiful Laundrette” appears in Thatcher and After. He recently published a monograph entitled Contemporary British Fiction and the Cultural Politics of Disenfranchisement (Palgrave Macmillan, 2015), and has essays in Contemporary Literature (55.2) and Maggie Gee: Critical Essays (Gylphi, 2015). He is currently working on post-devolution representations of northern England and everyday life. 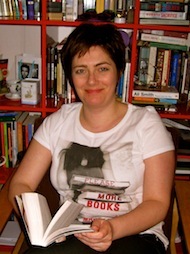 Dr Caroline Magennis is Lecturer in Twentieth and Twenty-First Century Literature at the University of Salford. She is a graduate of Queen’s University, Belfast (BA, MA, PhD). She has held post-doctoral research fellowships at the Institute of Irish Studies at Queen’s and University College Dublin. Caroline publishes in the area of modern and contemporary Irish literature and culture, and is the author of Sons of Ulster: Masculinities in the Contemporary Northern Irish Novel and co-editor of Irish Masculinities: Reflections on Literature and Culture. For full details of Caroline’s publications see http://harlaxton.academia.edu/CarolineMagennis. 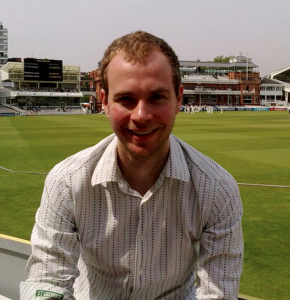 Rob Jones completed his PhD atthe University of Leicester in 2015. His doctoral research, titled The Only Complete Man Industry: William S. Burroughs’ Cut-Up Philosophy and the Avant-garde, is an intellectual and cultural history of Burroughs’ cut-up technique that also examines these cut-up texts as philosophical instruction manuals. He has a forthcoming piece on Neil Gaiman’s American Gods (Open Library of the Humanities) and has written book reviews for the Journal of American Studies. 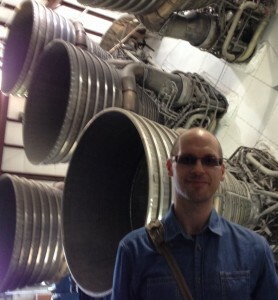 Rob’s current research focuses on the interconnection of fringe scientific thought and various post-war American Avant-garde movements. He is an occasional contributor to The Poetry Show on KUSP NPR Santa Cruz. 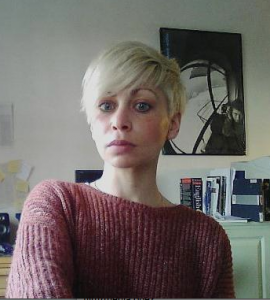 Dr Katy Shaw is Principal Lecturer in Contemporary Literature at Leeds Beckett University. 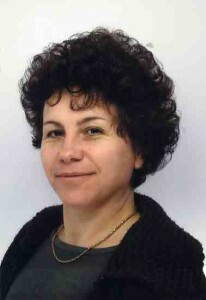 She is Director of C21: Centre for 21st-century Writings and editor of C21 Literature: Journal of 21st-century Writings. Her work examines contemporary novelist including two books on David Peace, poetry and social purpose and twenty-first century genre fiction. 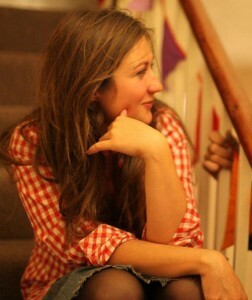 She is a regular festival host and media presenter and is currently negotiating both a blog and twitter feed. Dr Richard Martin is a writer and lecturer based in London, who works at the intersections of film, art and architecture. He currently teaches at King’s College London, leads courses at Tate Modern, and writes for the Tate Research Department. He is the author of The Architecture of David Lynch (Bloomsbury, 2014), and his articles and reviews have appeared in the European Journal of American Culture, Journal of American Studies, Flow, Senses of Cinema, 49th Parallel, Critical Quarterly, The Berlin Review of Books and The Modernist. He completed his PhD at Birkbeck’s London Consortium, and has previously taught at Birkbeck and Middlesex University. 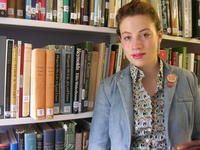 Dr Jennifer Hodgson is Researcher in Residence at the Edinburgh International Book Festival. Her AHRC-funded PhD at the University of Durham focused on British experimental writing during the mid-twentieth century, including Christine Brooke-Rose, Ann Quin, B. S. Johnson, Alan Burns and Brigid Brophy, amongst others. The project examines the ways in which British experimental writing speculates on an alternative history for the development of the British postwar novel in the context of the “situation of the novel” debates of the time. Jennifer is the UK Editor of Dalkey Archive Press, and in Autumn 2011 was the Everett Helm Visiting Fellow at the University of Indiana at Bloomington. Jennifer is currently co-editing a journal special issue British contemporary fiction with Professor Patricia Waugh (Durham). Martin Paul Eve is Professor of Literature, Technology & Publishing at Birkbeck, University of London. His research specialisms include the novels of Thomas Pynchon, Don DeLillo and David Foster Wallace and the philosophy/theory of Foucault, Wittgenstein and the Frankfurt School. He has been published, or has work forthcoming, in Textual Practice, Literature and History, C21 Journal, Insights and Pynchon Notes among others. A strong proponent of Open Access, Martin is a member of the steering committee for JISC’s OAPEN-UK project and is chief editor of Orbit, the open-access peer-reviewed e-journal on the writings of Thomas Pynchon. He is also on the Editorial Board for the online peer-reviewed journal Excursions. Finally, Martin is a Microsoft Certified Professional in C# and the .NET Framework and also writes for the Guardian Higher Education Network (see here for his Guardian profile). 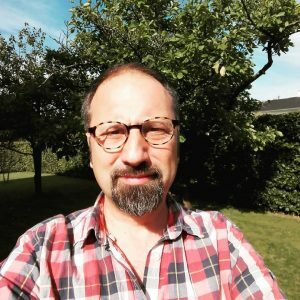 Martin is Online Editor of Alluvium and Co-Director of the open access publishing initiative, the Open Library of Humanities. 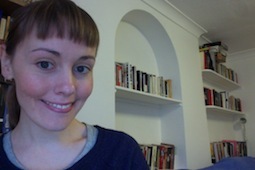 Dr Heidi James-Dunbar is a lecturer in English Literature and Creative Writing at Kingston University. Her novella The Mesmerist’s Daughter (published by Apis Books) was launched in July 2007. Her novel Carbon, was published by Blatt in October 2009 and is published in Spanish by El Tercer Nombre. Carbon is currently being made into a film by British film company, Institute for Eyes, with funding from Film 4. She has collaborated with artists including Delaine LeBas, Marisa Carnesky and Tara Darby. 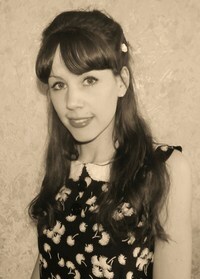 Her essays and short stories have appeared in various publications and anthologies including Dazed and Confused, Next Level, Flux, Brand, Another Magazine, The Independent, 3:AM Magazine, Undercurrent, 3:AM London, New York, Paris, Dreams That Money Can Buy, Full Moon Empty Sports Bag and Pulp.net, among others. 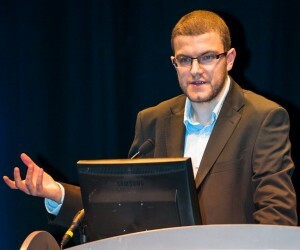 Dr Alex Latter teaches at Birkbeck College, where he has recently completed his PhD. He is currently co-editing a book of essays on Peter Riley for Gylphi’s Contemporary Writers Series and has published articles in The Journal of British and Irish Innovative Poetry and The Keats-Shelley Review. Dr Courtney Hopf is a part-time lecturer in Brunel University’s School of Arts and the acting manager of the university’s central learning development unit. 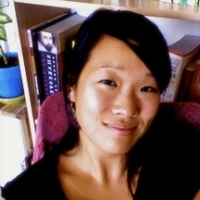 She received her PhD from the University of California, Davis in December 2011, and is currently preparing a monograph based on her dissertation titled Story Networks: The Politics and Poetics of Mass-Collaboration. Her fascination with collaborative production has led Courtney to research in film and film production, narratology, media, audience reception theory, and print cultures. Publications include ‘Story Networks: A Theory of Narrative and Mass Collaboration’ in Rhizomes (2010) and ‘The Stories We Tell: Discursive Identity Through Narrative Form in Cloud Atlas‘ in David Mitchell: Critical Essays, ed. 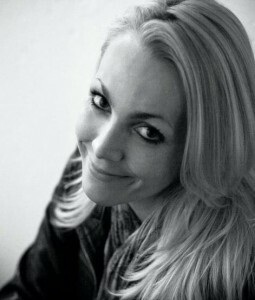 Sarah Dillon (Gylphi, 2011). 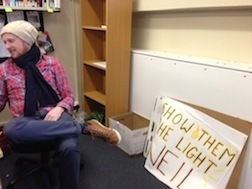 Dr Xavier Marcó del Pont is currently Postdoctoral Visiting Research Fellow at the Rothermere American Institute at the University of Oxford, where he is preparing an article on Don DeLillo’s portrayal of performance art. Part of a planned monograph on the representation of aesthetics, the avant-garde, and the visual and performing arts in DeLillo’s oeuvre, he will be conducting archival research at the Harry Ransom Centre at the University of Texas at Austin later this year, supported by the Norman Mailer Endowed Fund. He completed his doctoral studies on narrative structure in the works of Thomas Pynchon at Royal Holloway, University of London. He has published work on Pynchon, American identity, and the graphic novel form; beyond Anglophone Literature, his research interests include Film Theory, Literature and Science, and post-1945 Literature. 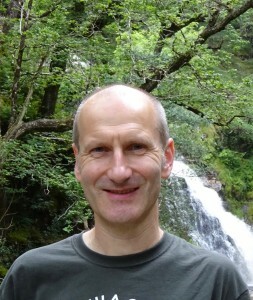 Dr Martyn Colebrook is an independent researcher. 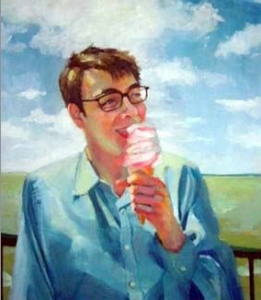 He completed a PhD focusing on the novels of Iain (M.) Banks and co-edited the first collection of scholarly essays, The Transgressive Iain Banks with Katharine Cox (McFarland 2013). He has published individually and collaboratively within the field of twentieth century fiction with chapters including “Contemporary Scottish Crime Fiction and Terrorism”, “The Wasp Factory, the Gothic and Mental Disorder”, “Paul Auster and Alienation”, “China Mieville and H.P. Lovecraft”, “Iain (M.) Banks and John Fowles”, and “Gordon Burn, Somebody’s Husband, Somebody’s Son and the Yorkshire Ripper”. He contributed two chapters focusing on fictions of the 1990s and 2000s to the Bloomsbury Decades Series. Additionally, he has organised conferences focusing on, among other topics, “Representations of 9/11”, “Millennial and Apocalypse Fiction”, and single author conferences on “Michael Moorcock” (with Mark Williams, University of Mainz), and “Angela Carter”. Dr Dennis Duncan is a Junior Research Fellow and a British Academy Postdoctoral Fellow at Jesus College, Oxford University. He is preparing a monograph on Translation and the Oulipo (2014). 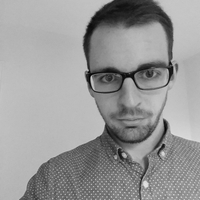 He is editor of the forthcoming Tom McCarthy: Critical Essays, part of Gylphi’s Contemporary Writers: Critical Essays series, and Theory of Le Grand Jeu (Atlas, 2013). Dennis’s primary research interests lie in modernism and translation, and he has published articles and reviews in Comparative Literature, Comparative Critical Studies, Translation and Literature, PEER English and Dandelion, as well as translations from French and Danish for the London Institute of Pataphysics and Gutfire Magazine. Dr Caroline Edwards is Lecturer in Modern & Contemporary Literature at Birkbeck, University of London where she convenes the MA Contemporary Literature & Culture. She is author of the forthcoming monograph Fictions of the Not Yet: Time in the Twenty-First-Century British Novel and co-editor of China Miéville: Critical Essays (Gylphi, 2015) and Maggie Gee: Critical Essays (Gylphi, 2015) – published as part of Gylphi’s Contemporary Writers: Critical Essays series. Caroline has published articles, interviews and reviews in Modern Fiction Studies, Contemporary Literature, Textual Practice, Telos, Radical Philosophy, Subjectivity, Left Lion Magazine and the New Statesman. Caroline’s work on science fiction has been covered by the Guardian, BBC iWonder and SFX Magazine, and her open access advocacy has been reported in the Chronicle of Higher Education and the Times Education Supplement; she has also been interviewed by the BBC World Service as well as the Austrian national radio ORF. Caroline is Founding and Commissioning Editor of Alluvium and Co-Director of the open access publishing initiative, the Open Library of Humanities. 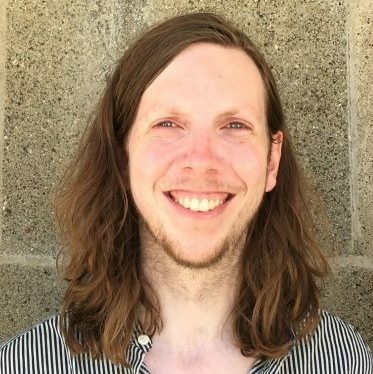 Dr Alistair Brown is an Associate Lecturer at the Open University, teaching courses on the arts and literature, and a Postdoctoral Teaching Assistant in English at Durham University, where he also edits the impact blog Research in English At Durham. He is currently writing a textbook on Topics in Modernism for the Singapore Institute of Management University, and preparing a monograph on Reading Games: Computer Games and the Limits of Literature. His PhD on Demonic Fictions: Cybernetics and Postmodernism was completed in 2009. Alistair has published several articles and book chapters on topics such as game studies, postmodern literature, and science fiction. His current research and publications list can be found at http://www.thepequod.org.uk/. 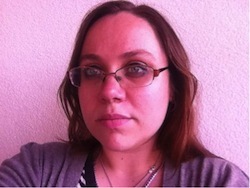 Dr Harriet Earle is an Associate Lecturer in Modern and Contemporary Literature at Birkbeck, University of London. She recently completed her PhD in American Comics at Keele University. She is currently preparing her first monograph on the topic of comics and conflict trauma. Her publications are spread across the field of comics studies and in the future she hopes to continue working on traumatic representation in comics, literature and art. Harriet was Articles Editor for Alluvium in 2015. 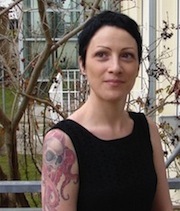 Christina Scholz is currently writing her PhD thesis on China Miéville’s fiction. Her fields of interest include the further theorisation of Weird Fiction, Hauntology and the Gothic imagination, the interrelation of genre fiction and other forms of art, and depictions of war, violence and trauma in the arts. Her Master’s thesis, Thanateros: (De)Konstruktion von männlichen Heldenbildern im Mainstream-Film, has been published by AV Akademikerverlag in 2012. Rowena Clarke is a doctoral candidate in the English Department at Boston College in the United States, where she is working on a dissertation provisionally titled “The Public Works of Popular Genres.” This project focuses on popular fiction and film’s role animating and contributing to the discourses of urban development that circulated during the decades after World War Two. Her research and teaching interests include American Studies, urban history, popular culture, and twentieth and twenty-first century literature, more broadly. At Boston College, she has taught courses on the literature of suburbia, and the cultural history of the Cold War, among others. During the 2016/2017 academic year, Rowena will be a Graduate Fellow in the interdisciplinary Clough Center for the Study of Constitutional Democracy at BC. 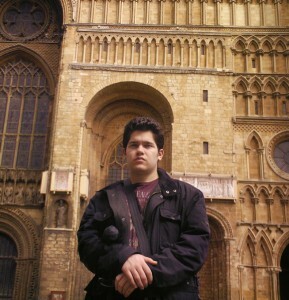 Jacob Murphy holds an MA in 21st Century Literature from the University of Lincoln. His research interests include existentialism, martial arts, depictions of real and unreal spaces in literature, the literary mashup, post-apocalyptic and dystopian narratives and the videogame as a legitimate narrative form. 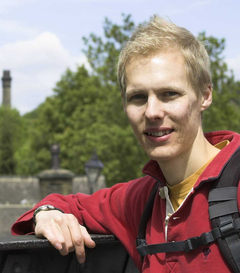 Jacob is an alumnus member of the 21st Century Research Group at the University of Lincoln. 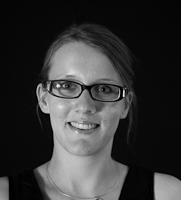 Marianne Corrigan is a final year PhD student under the supervision of Dr Nick Bentley at Keele University. Marianne’s research examines globalization, discourses of inter-connectivity and narrative migrancy in the later novels of Salman Rushdie. She is also especially interested in the relationship between economic imperialism, neo-liberalism and discourses of postcolonialism: much of her work looks at the tension between the dominant, material discourse of commercial capitalism and the ideological stance of the international writer. Marianne has a forthcoming chapter in Salman Rushdie: Contemporary Critical Perspectives, ed. Robert Eaglestone and Martin McQuillian (Continuum, 2013). Marianne is currently looking at the ways in which posthumanism and tropes of trans-national cultural connectivity are registered in 21st Century fiction. 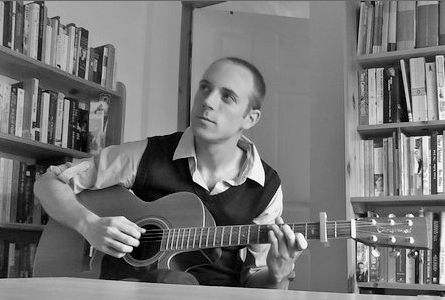 Ash Ogden is a postgraduate student in the department of English Studies at Durham University. He is currently in the process of writing a dissertation on interactivity in experimental literature and videogames entitled “Explorations in the Ergodic: The Reader as Game-Player in Mark Z. Danielewski’s House of Leaves and B. S. Johnson’s The Unfortunates.” Ash’s interests focus on literary innovation in the wake of technological advances but also include literary voyeurism, writing as transgression, as well as the novels of Thomas Pynchon and Bret Easton Ellis. He is also the television editor of The Bubble online magazine. Dr Holly Pester completed an AHRC-funded PhD student in the Contemporary Poetic Research Centre at Birkbeck, University of London. 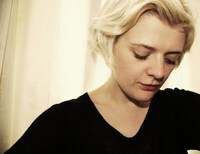 Holly is also a sound poet and artist, and her practice-led doctorate is titled ‘Speech Matter: Transpositional Poetry and the Intermedial Field’. Holly regularly performs at text, art and poetry events such as the international Serpentine Poetry Marathon 2009 and Text Festival 2011. She has also shown sound installations in galleries including the Cartel Gallery for the ‘Word of Mouth’ exhibition and a sound piece at St. Andrews poetry festival. Holly teaches English on Birkbeck’s BA programme, and assists on the Voiceworks project aiding collaborating poets, singers and composers. Holly Pester’s first collection of poetry, Hoofs, has recently been released with if p then q press. 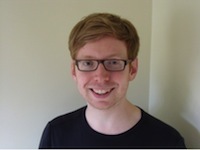 Kristian Shaw is an AHRC-funded PhD student at Keele University, under the supervision of Dr Nick Bentley and Dr Tim Lustig. His research focuses on the transition from postmodern to cosmopolitan writing in late c20th and c21st transatlantic fiction, including an analysis of time and space in the works of Don DeLillo, Thomas Pynchon and David Mitchell, amongst others. Kristian is currently working towards a critical companion to the fiction of David Mitchell. He is an undergraduate tutor, freelance editor and book reviewer. Dr Zita Farkas is a Senior Lecturer at the Department of Arts, Communication and Education, Luleå University of Technology, Sweden. She received her PhD from the University of York for a thesis on the reception of Jeanette Winterson’s work. 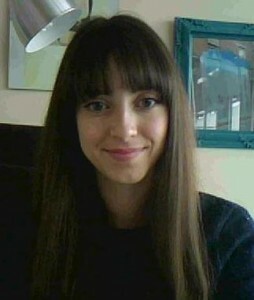 Her current research focuses on the adaptations of classical literary texts to the digital medium. She analyses the editorial mechanisms by which canonized texts are adapted to suit tablet configurations and how these literary tablet applications create consolidated multi-sensory reading experiences. Thus her main research interests are contemporary British literature and digital humanities. However, she occasionally wanders off and writes articles about contemporary Romanian cinema (Intellect, 2013), Hungarian gender issues (TNTeF, 2012) and Swedish crime fiction. She contributed to the collection of essays entitled Identity and Form in Contemporary Literature (Routledge, 2013) and wrote several entries for The Multimedia Encyclopedia of Women in Today’s World (Sage, 2011) and Encyclopedia of Contemporary Writers and their Work: Literary Movements (Checkmark Books, 2010). Dr Neil Vallelly is a former Commonwealth Scholar (2012-2015) at the University of Otago in conjunction with Shakespeare’s Globe. His research and publications focus on phenomenology, particularly through the work of Maurice Merleau-Ponty. He is also interested in theories of space, place, and perception. He formerly studied at Queen’s University Belfast and is presently based in Dunedin, New Zealand. Dr Joseph Brooker is Reader in Modern Literature and Director of the Centre for Contemporary Literature at Birkbeck, University of London. His most recent book is Literature of the 1980s: After the Watershed (Edinburgh University Press, 2010). Rhona Gordon is currently completing her PhD thesis at the University of Glasgow entitled ‘All Great Houses Resemble Crime: Representations of Housing in the texts of Gordon Burn, Andrew O’Hagan and David Peace’ which explores the ways in which all three writers consider the changes in housing over the end of the twentieth century. Her research interests include post-1970s housing, the 1984-85 Miners’ Strike, post-Industrial landscapes and late-twentieth/ early twentieth century celebrity. Her essay ‘A Scar Across the Country: Representations of the Miners’ Strike in David Peace’s GB84’ appeared in Digging the Seam: Popular Cultures of the 1984/5 Miners’ Strike (eds. Simon Popple and Ian W. Macdonald, Cambridge Scholars Publishing). Dr Tony Venezia recently completed a PhD on Alan Moore and the historical imagination at Birkbeck, University of London. 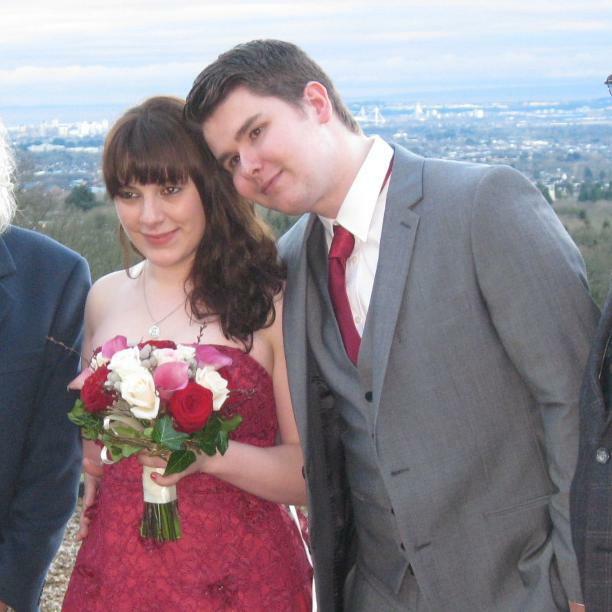 His research interests are in British and American comics and genre writing. 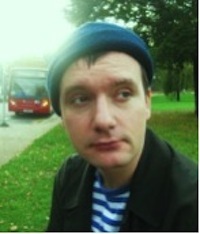 He is a visiting lecturer teaching English and film at Birkbeck and Middlesex University and has published articles and reviews in a number of academic journals, including Peer English, Radical Philosophy, New Formations, and Visual Culture in Britain. He has contributed to the forthcoming collection of essays Alan Moore and the Gothic Tradition, and is on the editorial board of the journal Studies in Comics. He is co-convenor of the Contemporary Fiction Seminar series at the Institute of English Studies. He is currently co-editing essay collections on the science fiction/fantasy writer China Miéville and on twenty-first century British fiction. Tony established the annual Transitions symposium at Birkbeck, the only annual London-based comics symposium and currently on its fourth year. 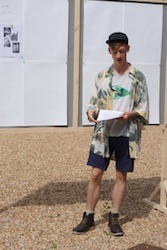 Christopher Vardy is studying for a PhD at the University of Manchester that explores contemporary figurations of neoliberalism, the ‘End of History’ and the 1980s. He has published an article on sexuality, space and radical politics in American fiction of the 1990s, and has contributed a chapter on nostalgia and retro in David Mitchell’s Black Swan Green to the upcoming Twenty First Century British Fiction edited collection. Dr Sophie Jones recently completed an AHRC-funded PhD in the Department of English and Humanities at Birkbeck, University of London. 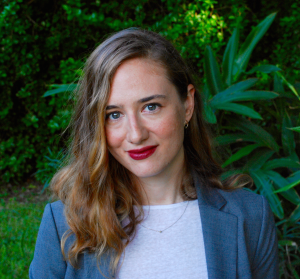 Her research examines the way discourses of media and technology intersect with the politics of reproduction in US literature and film between the late 1950s and the early 1970s. The thesis explored the work of Richard Yates, Stan Brakhage, Joan Didion, Sylvia Plath and Stanley Kubrick, among others. She is currently co-editing a selection of papers themed around the politics, ethics and aesthetics of the non-reproductive for a special issue of Studies in the Maternal. In 2013, she co-led an AHRC Collaborative Skills Project themed around Rachel Carson’s Silent Spring, and she is co-editing an ‘Ecology’-themed issue of Dandelion, Birkbeck’s postgraduate arts journal, inspired by the project. 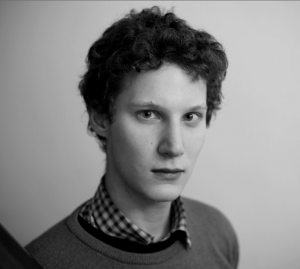 In 2011-2012, she was a British Research Council Fellow at the Library of Congress in Washington D.C.
Daniel Rourke is a writer and digital hoarder currently finalising a practice-based PhD at Goldsmiths, University of London. 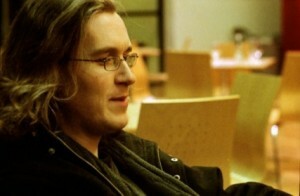 His research concerns the representation of mutation in digital cultures and the post-humanities. He lectures at Kingston and South Bank Universities, and writes regularly for Rhizome.org, Furtherfield.org and Transfer Gallery, New York. His work has appeared in AfterImage, Texte Zur Kunst and Dandelion, and was recently published as part of a Wellcome Trust funded project on Hoarding Disorder. Daniel’s portfolio confounds his best interests at machinemachine.net/portfolio. Dr Rob Gallagher is a postdoctoral research fellow at Concordia University’s Technoculture, Art and Games centre. His PhD thesis, completed at the London Consortium, addressed digital games and the embodied experience of time. His current work considers games as fiction, drawing on platform studies and queer theory to engage questions of affectivity, gender and identity. He is also contributing to an IMMERSe-funded project on videogame mod culture. Rob’s recent and forthcoming publications include essays for Games and Culture, G/A/M/E and The New Inquiry. 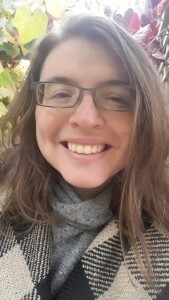 Danielle Sands is Fellow at the Forum for European Philosophy, LSE and Visiting Lecturer in Literary Theory at Queen Mary, University of London. She is particularly interested in: religion, politics, and post-secularism in European philosophy, and literary and philosophical representations of non-human animal life. Her research and translation has been published in numerous journals and she is currently completing her first monograph Writing Religion and Politics After Derrida. 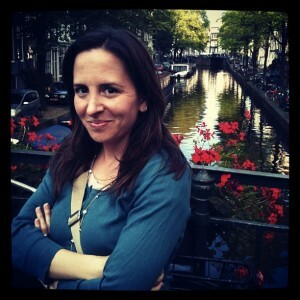 Dr Astrid Bracke is Lecturer in English Literature at Radboud University Nijmegen and the University of Amsterdam. She works primarily on ecocriticism and contemporary literature with a special interest in the challenges that non-traditional natural spaces such as cities pose to ecocriticism and contemporary imaginations of nature in general. One of the first Dutch ecocritics, she co-edited a special issue on ecocriticism and contemporary literature for English Studies. Astrid’s other research interests include the intersections of literature and the visual arts, particularly photography, a topic about which she is co-editing a special issue of the journal Image & Narrative. 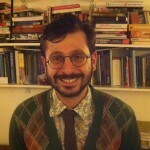 Dr Sam Solnick recently completed his AHRC-funded PhD at Queen Mary, University of London, where he also teaches. 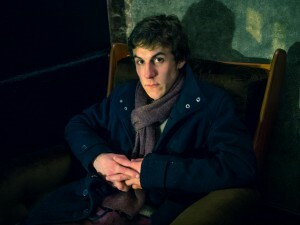 His thesis addressed issues of ecology, biology and technology in contemporary British poetry. He has been published, or has work forthcoming, in the Ted Hughes Society Journal, The Oxford Literary Review, C21 and Green Letters: Studies in Ecocriticism. He writes regularly for the Times Literary Supplement and is a contributing editor for the arts and politics quarterly The White Review. Dr Louise Squire recently completed her PhD at the University of Surrey currently. Her thesis explored a strand of contemporary environmental crisis fiction that draws links between the emergence of environmental crisis and the human fear of death, indicating an imperative to relearn our relations with death. Louise has an MA in environmental philosophy and her interests include environmental literary criticism, Continental thought and new forms of theorising, such as the speculative realisms. She also has interests in Anthrozoology and Literary Animal Studies. Her articles to date appear in Oxford Literary Review and Antennae: the Journal of Nature in Visual Culture. 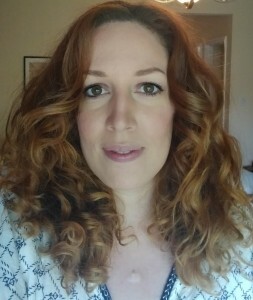 Louise served for two years as an Executive Member of the Association for the Study of Literature and Environment for UK and Ireland (ASLE-UKI) and is current Web Officer. Dr Matthew Griffiths recently completed his PhD in English Studies at Durham University under Professor Timothy Clark and Dr Jason Harding. His thesis, ‘“Makings of the Self and of the Sun”: Modernist Poetics of Climate Change’, examines the potential of more experimental traditions for literary engagement with environmental phenomena, with readings of work by T. S. Eliot, Wallace Stevens, Basil Bunting, David Jones and Jorie Graham. He is currently Junior Research Fellow and Programme Co-ordinator for college projects at Ustinov College, Durham, and a teaching assistant in the Department of English Studies. Articles and reviews have appeared in the Oxford Literary Review and symplokē and forthcoming in Green Letters. His novel The Weather on Versimmon explores ecological themes in a science-fiction setting, and his debut poetry pamphlet, How to be Late, was published by Red Squirrel in 2013. 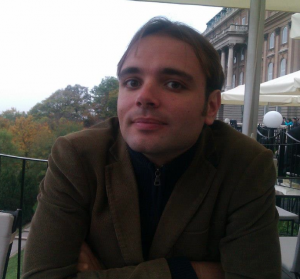 Dr Francesco Di Bernardo holds a PhD in Modern and Contemporary Literature, Culture and Thought from the University of Sussex. He is interested in the relationship between literature and history, economics, sociology and politics. He has completed a thesis focusing on the representation of British history from the seventies to the post 2007-2008 financial crisis in the works of Jonathan Coe and other contemporary British authors. 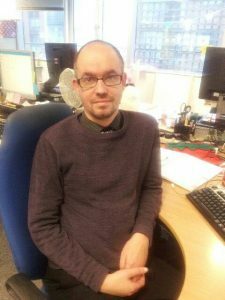 He is Associate Tutor at the School of English of the University of Sussex and has worked as Research Support Assistant for the School of Media, Film and Music at Sussex. He also writes as reviewer for the LSE Review of Books. 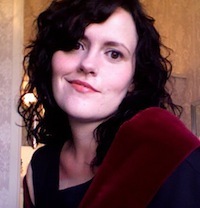 Dr Heidi Yeandle was awarded her PhD in January 2015; her research focuses on Angela Carter’s engagement with Western philosophy. Her research interests include Contemporary Women’s Writing, feminism and queer theory, and dystopian literature. She has recently had a paper published in Contemporary Women’s Writing on Carter and America, and has a forthcoming chapter on Carter’s Heroes and Villains in Faces of the Apocalypse: Change and Adaptability at the End, published by Inter-Disciplinary Press. 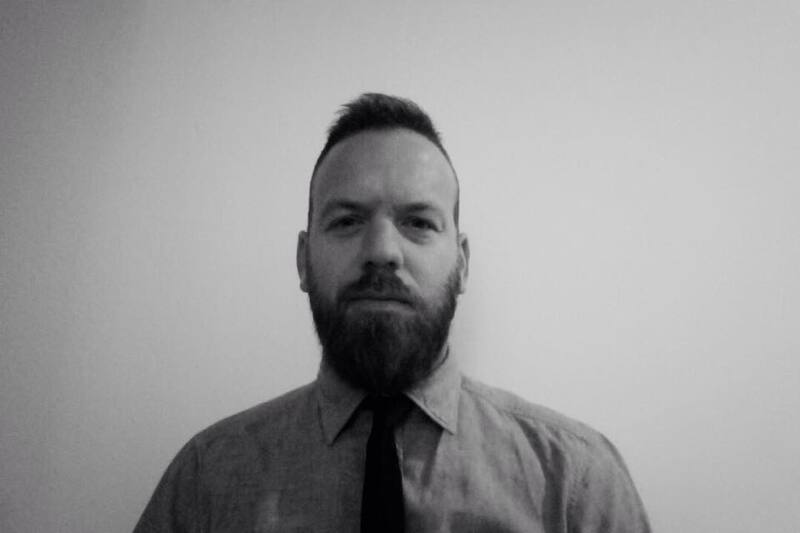 Dr Christos Callow Jr is an Associate Tutor at Birkbeck, University of London, where he has recently completed his dissertation “Etherotopia, an Ideal State and a State of Mind: Utopian Philosophy as Literature and Practice.” He also has a BA in Acting and an MA in Playwriting. He founded the annual Stage the Future conference on science fiction theatre (@stagethefuture) with Susan Gray, co-organised the New Genre Army conference with Dr. Caroline Edwards and is co-editing a book on the work of Adam Roberts with Anna McFarlane for Gylphi’s Contemporary Writers: Critical Essays series. He has published fiction in such places as Cosmos, Polluto, Impossible Spaces and The Mad Scientist Journal. 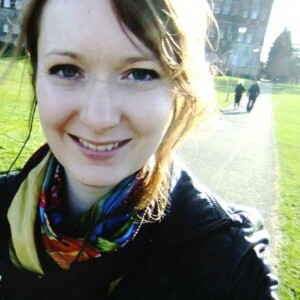 Dr Dorothy Butchard completed her PhD at the University of Edinburgh in 2015. Her research explores literary portrayals of new and changing technologies, focusing on depictions of contemporary cultural anxieties, materiality and marginalised voices. 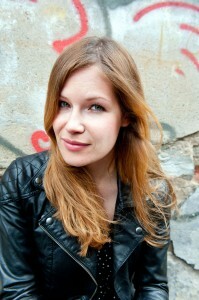 Dana Bönisch has worked in arts and culture journalism, has published short fiction and a novel. She is currently a staff member of the Comparative Literature department at the University of Bonn and is working on a PhD project that explores narratives of terrorism from the 1970s until the ‘war on terror’. From 2013 to 2014, she held a Visiting Fellowship at IGRS London. Dana has previously published on the notion of geopoetics and mapping as a narrative strategy, both in relation to Post­9/11 texts. For one of those articles, she won the Forum Prize 2014, awarded by the Forum for Modern Language Studies. 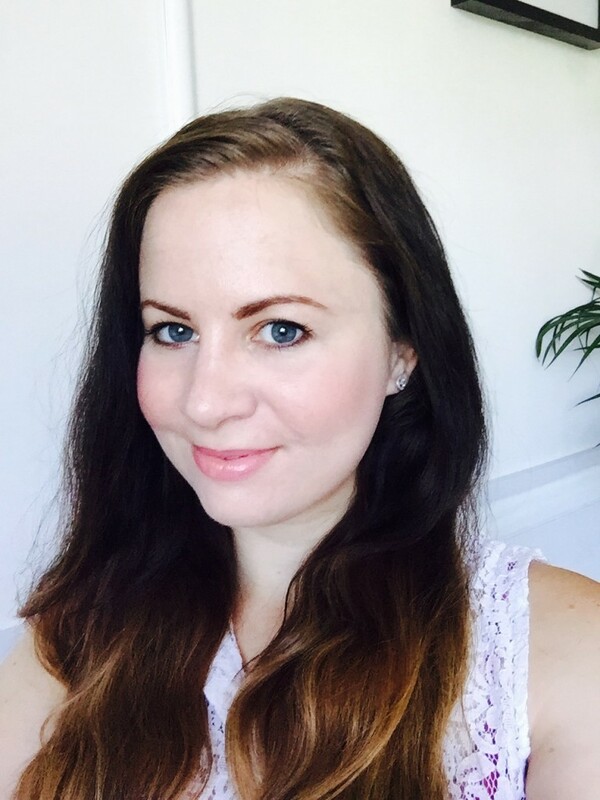 Dr Emily J. Hogg researches the relationship between contemporary literature and contemporary discourses of human rights and focuses in particular on representations of children, families and young people. 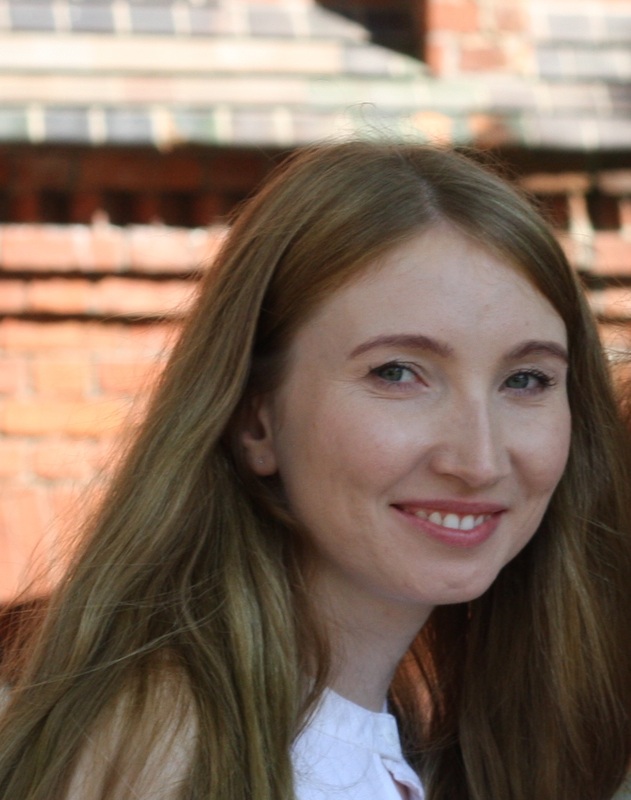 She has also published on Nadine Gordimer and David Foster Wallace, and she is the co-editor, with Dr Clara Jones, of the collection Influence and Inheritance in Feminist English Studies, to be published by Palgrave later in 2015. She completed her PhD in 2014 at Queen Mary, University of London, where she currently teaches. Dolores Resano is a research fellow (FPU) at the Centre Dona i Literatura, Universitat de Barcelona, where she is currently completing her dissertation on 9/11 fiction and satire. Her research examines political and media rhetoric on 9/11 and their satirical contestation in literature. She is the coordinator of the site for online reviews Lletra de Dona and Articles Editor for Alluvium in 2016. 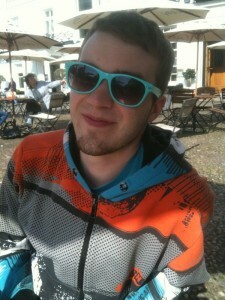 Bryan Banker is a PhD candidate under Prof. Dr. Klaus Benesch at Ludwig-Maximilians-Universität in Munich. His research focuses on how 20th century black intellectual artists used literature and performance as the analytical process in which to negotiate their political, social, and aesthetic consciousnesses. His PhD project spotlights the Hegelian influence upon the work of W.E.B. Du Bois, and C.L.R. James; and how that influence was passed to artists Paul Robeson and Langston Hughes. In 2012, He obtained an M.A. in American Studies at Heidelberg University, writing on Paul Robeson. Dr Rachel Sykes completed her AHRC-funded PhD in American and Canadian Studies at the University of Nottingham in 2014. Her thesis outlined a theory of quiet as a narrative aesthetic and a monograph based on her project, titled The Quiet Contemporary American Novel, is forthcoming. She has published reviews and articles in Journal of American Studies, USSO, Review 31, LSE Review of Books, C21 Literature: Journal of 21st-century Writings, Dictionary of Literary Biography, and the edited collection, Recovering 9/11 in New York. She has work forthcoming on Marilynne Robinson’s Gilead novels and recently began a new project that defines a poetics of oversharing in contemporary women’s writing. 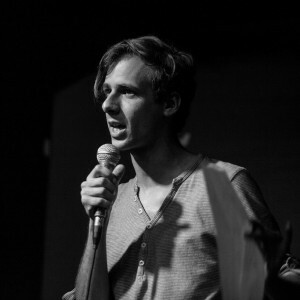 Raphael Kabo is a postgraduate student, performance poet, and writer. 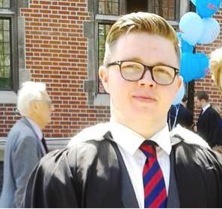 He completed his undergraduate degree at the Australian National University and is about to embark on an MA in English Literature at King’s College London with the support of a King’s President’s Scholarship. His work examines the relationships between contemporary subversive literature, spatiality, psychogeography, and urban existence, with a particular interest in the spatialities of contemporary protest literature from the UK and beyond. He blames his birthplace – Canberra, Australia – for opening his mind to the questions of urban space, but looks to London for answers. 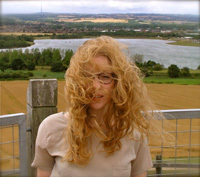 Dr Ruth Charnock is Lecturer in English at the University of Lincoln. 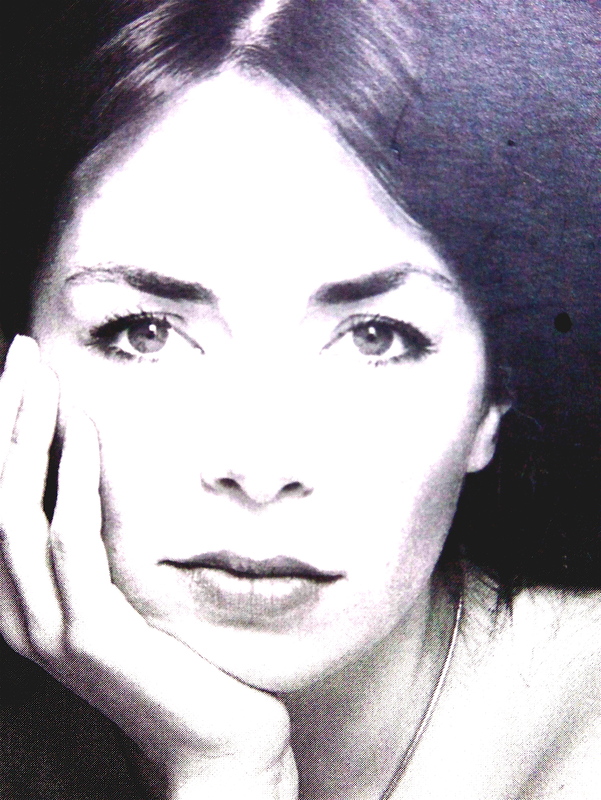 She is currently at work on a monograph on the writer Anaïs Nin, an edited collection on Joni Mitchell, and a book-length project on care and caring in contemporary America fiction, from which her first article derives. Diana Wagner is currently writing her PhD thesis on Siri Hustvedt at the Philipps University of Marburg, Germany. Her field of interests include the relationship between fiction and the visual arts, intermediality, questions of perception, vision, and gender, transdisciplinary approaches to literature. In 2014, she obtained an M. A. in North American Studies at the University of Marburg. In October 2015, she delivered a paper entitled “‘Does Art Really Have a Gender Identity?’: Siri Hustvedt’s Playing with Perception in the Art World at ‘Living, Thinking, Looking’ a conference on the writing of Siri Hustvedt at Birkbeck, University of London. 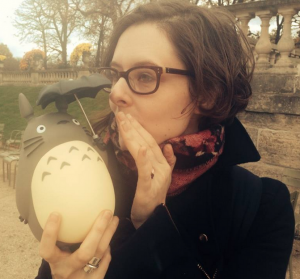 Andrea Dietrich is an Associate Lecturer at Anglia Ruskin University where she is also currently writing her PhD on existential agency in Science Fiction, 2010-2015. She is a graduate of Johannes Gutenberg Universität Mainz, Germany (BA, MA), Université de Bourgogne, France (MA) and Birkbeck University London (MA). Andrea is the current British Science Fiction Association’s Event Officer and has been the Online Editor for Alluvium since 2015. Her fields of interest include Jean-Paul Sartre’s Existentialism, Existential psychoanalysis, narratology, Cognitive Poetics and Science Fiction. Dr Andy Hageman completed his PhD in English and Critical Theory at the University of California, Davis. Currently, he’s Assistant Professor of English at Luther College where he teaches courses in American literature, film, ecocriticism, and speculative fiction. 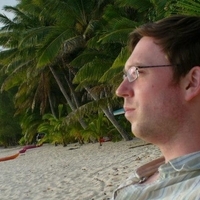 Andy researches intersections of technoculture and ecology in the social imaginary and his publication subjects run from David Lynch’s cinema/television and William Gibson’s science fiction novels to Ecocinema theory and the machine trope “wheels within wheels” as it has rolled through multiple millennia and media. He’s working now on a book about speculative fiction and the Anthropocene. 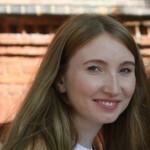 Dr Katharine Handel received her PhD in Medieval Studies form the University of York in 2015. She specialises in Anglo-Norman literature of the twelfth and thirteenth centuries, particularly hagiography, and her research interests include all aspects of medieval insular French literature and also the overlap between medieval literature and contemporary popular culture. She is preparing a translation of Beneit of St Albans’ Vie de Thomas Becket and has also edited and translated the prologue of the Roman de toute chevalerie in the forthcoming Vernacular Literary Theory from the French of Medieval England edited by Jocelyn Wogan-Browne, Thelma Fenster, and Delbert Russell. She currently works as a researcher at the Oxford English Dictionary. 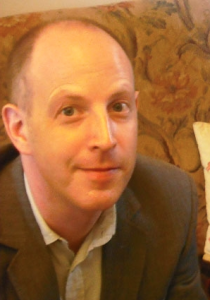 Dr Daniel Cordle is Reader in English and American Literature at Nottingham Trent University. He is the author of States of Suspense: The Nuclear Age, Postmodernism and United States Fiction and Prose (Manchester University Press, 2008) and is currently completing a book, Late Cold War Literature and Culture: The Nuclear 1980s (Palgrave Macmillan, 2016/17), theorising the final decade of the nuclear Cold War. 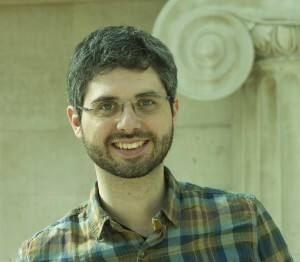 His research focuses predominantly on nuclear culture, but he also has interests in literature and science (his 1999 monograph for Ashgate, Postmodern Postures: Literature, Science and the Two Cultures Debate, discusses the two cultures debate), postmodernism and twentieth and twenty-first century literatures. Dr Jon Hogg is Senior Lecturer in Twentieth Century History at the University of Liverpool. He researches and teaches the cultural and social history of the British nuclear state. His book British Nuclear Culture: Official and Unofficial Narratives in the Long Twentieth Century (Bloomsbury, 2016) offers a new interpretation of the British nuclear century by tracing the tensions between ‘official’ and ‘unofficial’ narratives. His research has also been published in The British Journal for the History of Science, Urban History, and he has a chapter in a forthcoming book, Andrew Futter (ed. ), The United Kingdom and the Future of Nuclear Weapons (Rowman & Littlefield, 2016). As well as extending his analysis of nuclear Britain in the years to come, he is working as the General Editor of an innovative Open Access e-textbook project, Using Primary Sources: A Practical Guide for Students (LUP, 2017), funded by JISC. This is a collaborative effort between nearly thirty historians, University of Liverpool Library colleagues, and Liverpool University Press. 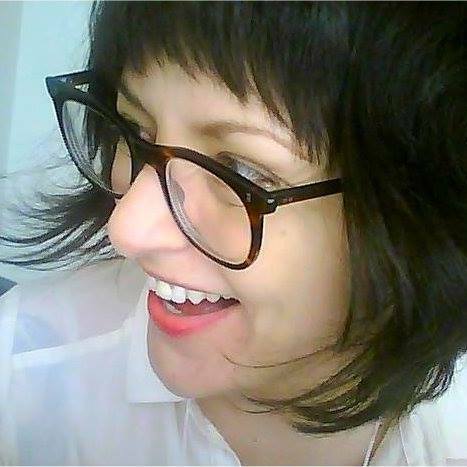 Dr. Cathryn J. Merla-Watson is an Assistant Professor in the Literatures and Cultural Studies Department and affiliate faculty in Women and Gender Studies as well as Mexican American Studies at the University of Texas, Río Grande Valley. Dr. Merla-Watson has published articles in journals such as Aztlán: A Journal of Chicano Studies and Multi-Ethnic Literatures of the U.S. (MELUS) and chapters in collected works including Research Justice, edited by Andrew Jolivette, and The Un/Making of Latino Citizenship: Culture, Politics, and Aesthetics, edited by Ellie D. Hernández and Eliza Rodriguez Y Gibson. She recently co-edited with B.V. Olguín Altermundos: Latin@ Speculative Literature, Film, and Popular Culture, the first collected works to coalesce scholarship dedicated to codifying and theorizing Latin@ speculative aesthetics. Currently, Dr. Merla-Watson is completing a book examining how queer, trans-American Latinx performances enact affective politics through re-imagining the gothic and the post/apocalyptic. 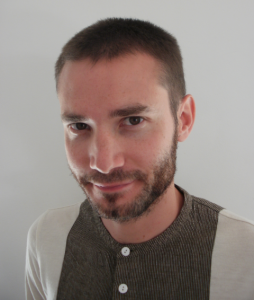 Dr Sébastien Doubinsky is associate professor in the French section of the university of Aarhus, Denmark. His research fields cover translation, comparative studies and work reading theory. He co-authored Reading Literature Today with Tabish Khair, published by SAGE in 2011. He is also a bilingual novelist and poet. Richard Bingham is a doctoral researcher in English Literature at the University of Birmingham, where he co-convenes PLAY/PAUSE, a seminar series fuelling academic discussion of video games and virtual reality. His PhD thesis is titled ‘Digital Natives: Imagining the Millennial in Twenty-First Century Fiction’. 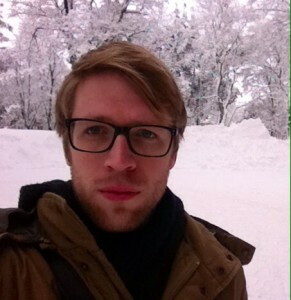 His research interests include digital cultures, critical theory and twenty-first century aesthetic realism.